Your liver is the second largest organ in your body (second only to your skin), weighing in at around three pounds and responsible for a myriad of essential body functions each and every day. Primarily, your liver’s job is to filter the blood that comes from your digestive tract, thereby metabolizing nutrients, drugs, alcohol and other substances consumed while helping to detoxify. Your liver health also manufactures proteins and produces bile to help break down fats and clear bilirubin, a potentially harmful substance formed from the breakdown of dead red blood cells, from your blood. It is your liver health that is responsible for processing virtually everything you consume — protein, fat or carbohydrate — and turning it into glucose that is used as fuel. But, since everything you consume passes through your liver it means your liver is subjected to an array of toxins — pesticides, hormones, food additives, alcohol, medications, microorganisms, and more — on a regular basis. Your liver health will either convert these harmful toxins into less harmful ones or ensure they’re eliminated from your body entirely. However, inevitably some toxins get left behind, hiding in certain liver cells or creating free radicals that can damage your liver and your overall health. This is why it’s so important to support your liver health in every way you can. The foods you eat, the medications you take, the drinks you consume … all of these take a toll on your liver health, but you can help keep your liver in top working order by following the simple steps below. Your diet represents one of the biggest potential burdens on your liver, as many foods are contaminated with pesticides, growth hormones and chemical additives. By eating organic you are opting for the purest foods possible, which means you’re saving your liver from a slew of toxins. By definition, organic foods must be free from genetically modified organisms, synthetic pesticides and fertilizers, antibiotics, growth hormones and other drugs. Two more dietary burdens to your liver are hidden in many processed foods on your supermarket shelves: trans fats and fructose. Trans fats are common in fried foods like French fries and doughnuts and are also found in cookies, crackers and many other processed foods. If the ingredient list contains “hydrogenated” or “partially hydrogenated” oil, it will contain some amount of trans fat. Fructose is also found in numerous processed foods as well as in soda and fruit juice. According to one study in the journal Hepatology, a diet high in fructose and trans fats leads to obesity and fatty liver. On the flipside, you can also use your diet strategically to support your liver health by eating plenty of fresh fruits and vegetables, which are naturally detoxifying. Specifically, sulfur-rich foods, such as onions, garlic and all the veggies in the cruciferous family (broccoli, kale, collard greens, Brussels sprouts, cabbage, cauliflower, etc.) are known to help your liver detoxify environmental toxins, including prescription drugs and pesticides. Vegetables are also an excellent source of fiber, which helps toxins to move through your digestive tract, reducing stress on your liver. Turmeric, cinnamon and licorice are also known to support healthy liver function. Alcohol can destroy liver cells and lead to liver damage that causes fatty liver health, inflammation, alcoholic hepatitis or cirrhosis. If you already have liver health disease, drinking even a small amount of alcohol can make it worse. The more chemicals you are exposed to, the harder your liver has to work to keep you healthy. You can reduce stress on your liver health by choosing natural cleaning products for your home and natural personal care products for your body. Be sure your drinking water is free from contaminants and consider using an air purifier in your home, especially if you live in a high-traffic area. You’ll also want to avoid spraying pesticides in or around your home. Taking medications in improper doses, for too long, or mixed with other substances, such as alcohol or other drugs, can harm your liver health. Acetaminophen (brand name Tylenol) is notorious for its potential danger to your liver health, as overdose of this drug is actually the leading cause of acute liver health failure in the United States. In fact, even when used correctly acetaminophen (in this case Extra Strength Tylenol) caused liver enzymes to increase three-fold beyond the normal upper limit, which is a sign of possible liver damage, according to one study. Some patients even had levels as high as eight times the normal enzyme level. So keep in mind that you need to be careful with medications as far as your liver health is concerned, and this applies to over-the-counter drugs like Tylenol as well as prescription medications. Exercise is one straightforward way to lower your risk of fatty liver health disease, not only by helping you to maintain a healthy body weight (obesity increases your risk of fatty liver disease) but also by leading to liver health improvements independent of weight loss. One study published in Hepatology even found that staying active for at least 150 minutes a week improved liver enzymes and other indices of liver health function. Smoking may harm your liver’s ability to effectively process and remove toxins from your body. It can also make alcohol-induced liver health disease worse. Certain high-quality supplements may help support liver health. 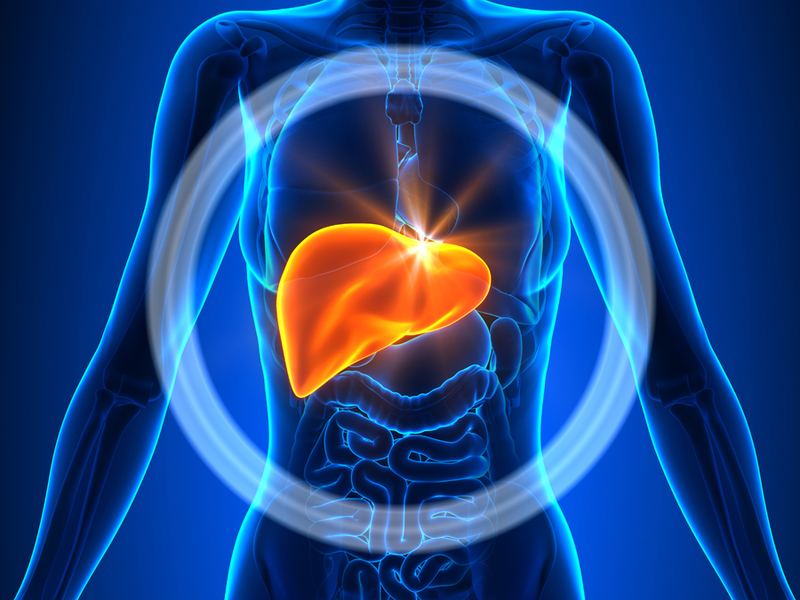 Alpha Lipoic Acid is a powerful antioxidant that supports liver health function. Remember, a strong liver health is one of your best defenses against the toxins bombarding your body on a daily basis. A healthy lifestyle that lessens your toxic load while providing your body with high-quality sources of essential nutrients will keep your liver in top working order. Doctor Recommended. Hospital Approved.™ That’s more than just a tagline for us. It’s a way of life. We work every day to create a line of vitamins, minerals, herbal and nutritional supplements that will give you the best nutritional support possible. It starts with scientifically proven ingredients and expert formulations. Then our products are subjected to extensive quality testing that exceeds FDA regulations. This ensures that CNCA Health supplements are the safest, most reliable dietary supplements (products) you can buy. We truly want to give you quality supplements you can trust. Because we meet a higher standard of quality assurance, CNCA Health supplements are recommended by doctors and used in healthcare facilities nationwide. 1. Oprah.com, Dr. Mehmet Oz, “What Does the Liver Do?” August 19, 2008. 6. JAMA. 2006 Jul 5;296(1):87-93.